So you’d think that the beginning of November is a bad time to start blogging about your garden, but in fact this time is essential to get the garden ready for the next season. I have a small back garden in suburbia that I can’t dig into because we’re renting, meaning I had to resort to raised beds. I say resort, but in actual fact I absolutely love the things. 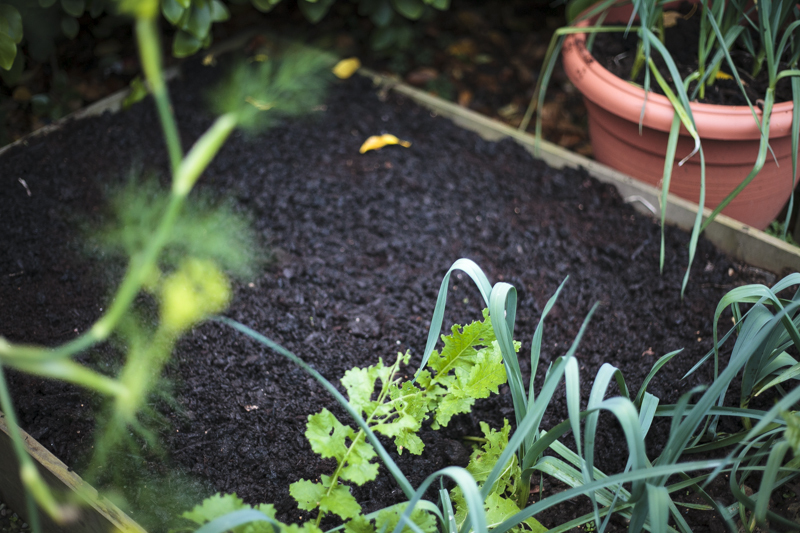 No digging, hardly any mess, less weeds, and they allow you to grow crops much closer together because you don’t have to leave space for you to walk through the rows, so it’s a much better use of your small space. Our previous garden in Phibsboro (“the hood”) was much bigger and grassy. It was our first garden and I didn’t have a clue what I was doing. This was before raised beds were much of a thing, so we basically started digging up grass where we thought we wanted our fruit and veg beds. 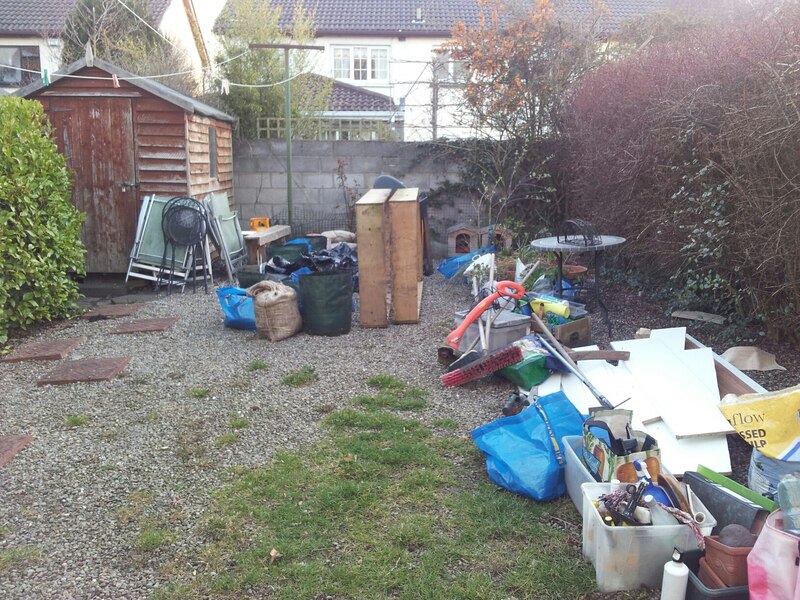 We found out the hard way that it seems to be common practice for builders – or careless landlords – to bury any rubbish they have lying around the house or any building rubble in the back garden. If you’re not from around here you will simply not believe the amount of stones, concrete slabs, tiles, glass, wood, and kitchen implements you will find in the ground once you start digging. There was nowhere you could put the shovel down without hitting something big and heavy. The first thing we dug was a herb bed, half a metre wide and 3 metres long, along the beauty that was a poured concrete terrace, and it took us all weekend. There was so little soil left after we took out the bricks and concrete that we had to fill it up with several bags of compost. I really wanted to grow some stuff, but I wasn’t quite sure whether it was worth that kind of hassle. The only thing that kept me going was the fact that I never would have suspected it to be the same anywhere in the garden. I thought this must be the bad end, surely it couldn’t be like that throughout. Well it was. One season we dug up the vegetable beds and ended up with 20 odd large rubble sacks full of rubble, grass, half an iron wood burning stove, and heavy black soil that we had to transport through the house into the car and down to the recycling place. By that time I was convinced our landlords were barbarians, and recent events have proven me right. Who builds their own landfill? Unfortunately, a lot of landlords around here do. Because of this and many other reasons you’re much better off with raised beds. You can get cheap versions that will do the job perfectly for most crops, and you can get sturdier, higher, and prettier versions. Even if you’re looking at the dearer ones and aren’t quite sure if you really want to spend the money, let me tell you this: By the time you’ve broken your back digging up the rubbish in your soil and dragged everything down to the one recycling centre in the Dublin city area that accepts builder’s rubble (and paid to get rid of other people’s rubbish, of course), you will have wished several times over that you’d gone with the raised beds. As far as I’m concerned, it’s gardening at its best, certainly in an urban environment. You get all the fun and none of the back pain. This is the first season gardening in our new place and we moved most raised beds and the compost over from the old place with the help of two very benevolent friends. It was horrible work and I cursed myself for putting us all through it, but once you’ve got the gardening bug, you just can’t live without it. I have a few friends who are thinking of getting into gardening, but all the gardening advice out there pretends like you already know what you’re doing, in which case you obviously wouldn’t read the stuff in the first place. I remember trying to educate myself and having to look up jargon all the time, so there will be none of that. I’m no expert by any means and still make a lot of mistakes, but I think I can break each step down for novices to follow along, so I’m hoping you’ll let me know if this is not the case. The gardening section will be organised by month, so here goes November.